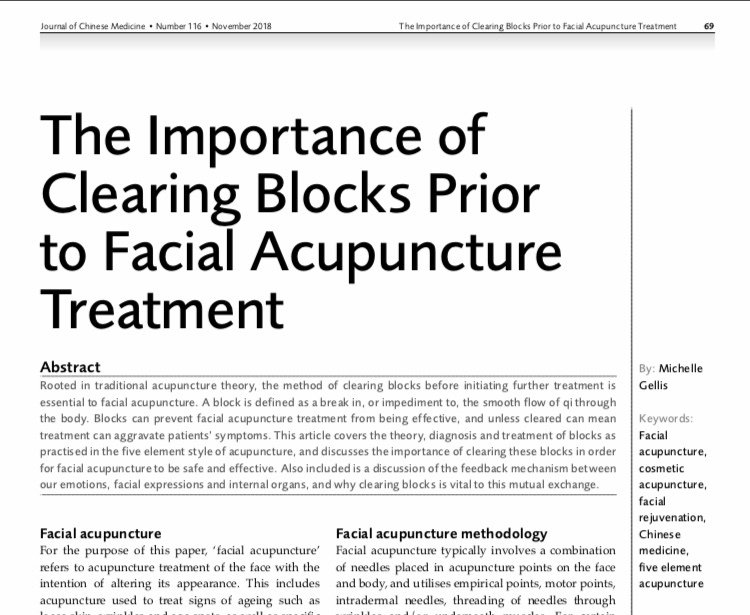 The following article, “The Importance of Clearing Blocks Prior to Facial Acupuncture Treatment”, was published in the Journal of Chinese Medicine. Below is the abstract and a link to the article. 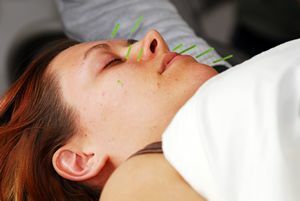 Rooted in traditional acupuncture theory, the method of clearing blocks before initiating further treatment is essential to facial acupuncture. A block is defined as a break in, or impediment to, the smooth flow of qi through the body. 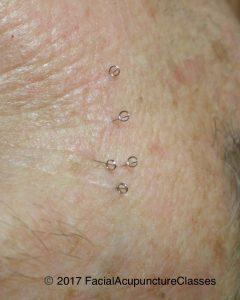 Blocks can prevent facial acupuncture treatment from being effective, and unless cleared can mean treatment can aggravate patients’ symptoms. 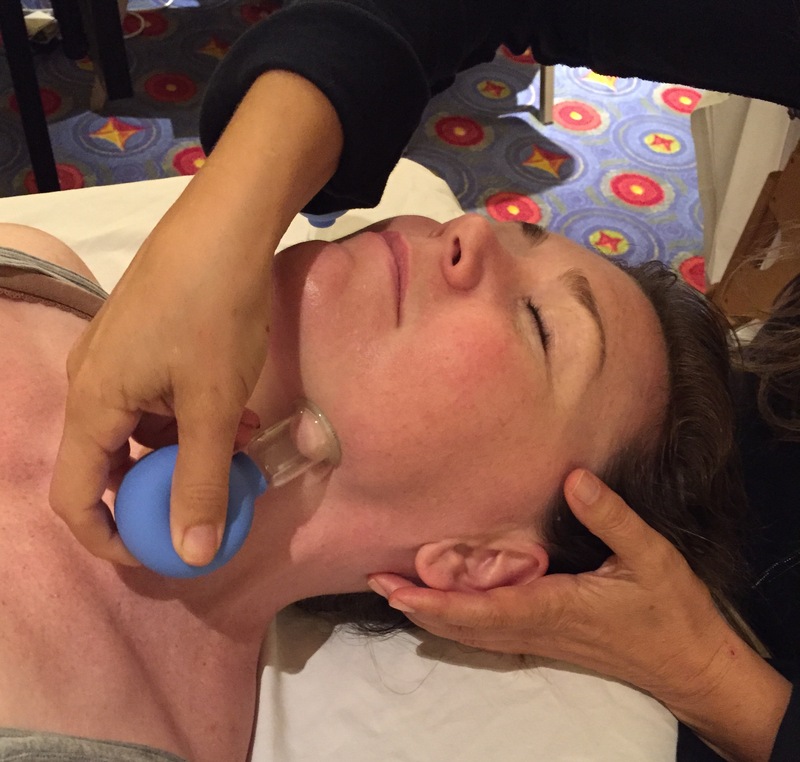 This article covers the theory, diagnosis and treatment of blocks as practised in the five element style of acupuncture, and discusses the importance of clearing these blocks in order for facial acupuncture to be safe and effective. Also included is a discussion of the feedback mechanism between our emotions, facial expressions and internal organs, and why clearing blocks is vital to this mutual exchange. Recently cosmetic acupuncture, also known as facial rejuvenation acupuncture, has been getting a lot of media attention. 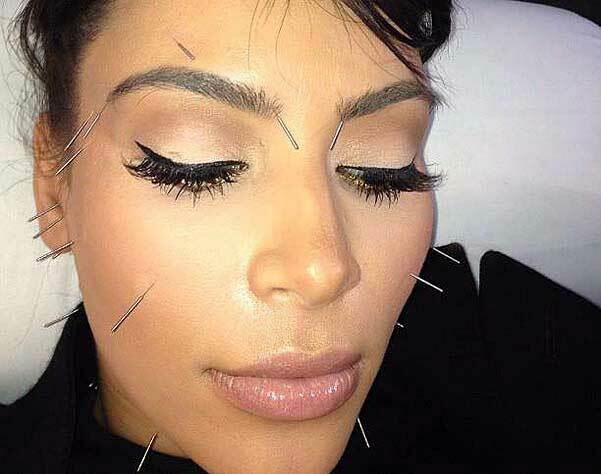 Celebrities such as Madonna, Gwyneth Paltrow, Demi Moore, Kim Kardashian, Angelina Jolie and Julianne Moore all have used Acupuncture Facial Rejuvenation as a way to maintain and improve their appearances. Cosmetic Acupuncture represents a safe and natural method to promote youthfulness and enhance natural beauty. For stars, the ability to express themselves through their face is vital, however many popular procedures such as Botox injections can make it impossible to frown or make other expressions. Chemical peels, laser treatments or surgery are painful and involve downtime. By using Acupuncture to refresh your appearance you can take 5-10 years off the look of your skin, but you will still look like you! 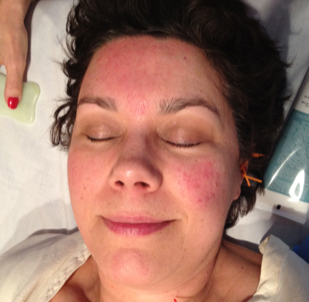 Acupuncture facial rejuvenation requires no downtime and is safe and painless. But is this a new, trendy procedure? No. As early as the Sung Dynasty (960AD-1270AD) Acupuncture Rejuvenation practices were employed for the Empress and the Emperors. The good news is you don’t have to live in Hollywood to take advantage of this ancient technique of revitalizing the skin. licensed acupuncturists who are Specially trained can allow you to enjoy the benefits of this natural method of refreshing your appearance. As you age, the 57 muscles in your face gradually lose their tone and mass. Loss of tone and mass causes the sagging, deep wrinkling and tired look associated with aging. Acupuncture stimulates the muscle function, and the face lifts itself via the acupuncture points. Thus, returning the face to a healthier, revitalized, youthful appearance. Hair thin needles are placed in the outside of the ear to induce relaxation, and body points are used which correspond the individual’s specific needs. There is a sense of well-being as a flood of endorphins are released throughout the body. Once you are in a state of deep relaxation, needles are placed on the face in acupuncture points as well as wrinkles. 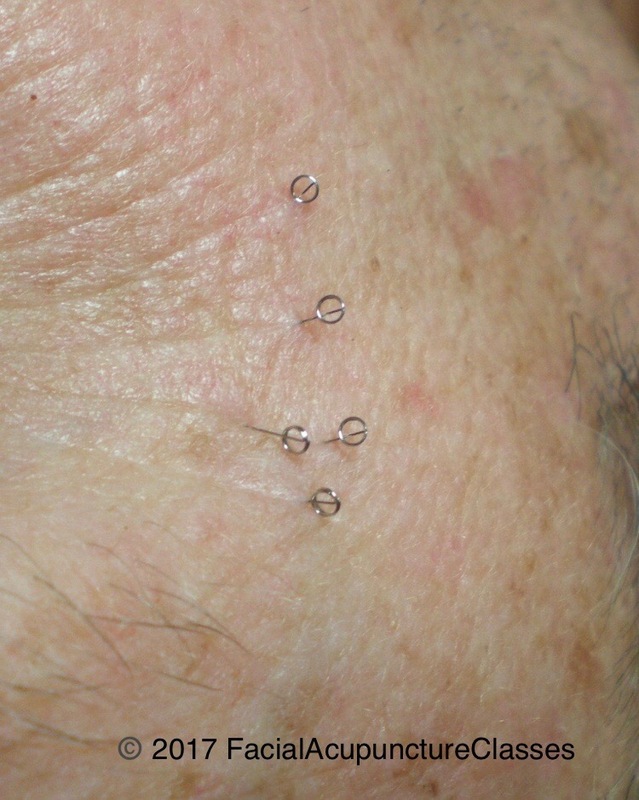 Tiny intradermal needles are also placed in the wrinkles which create a micro trauma causing collagen to be produced. 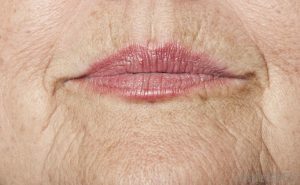 This technique is especially effective on crow’s feet and lines around the lips. 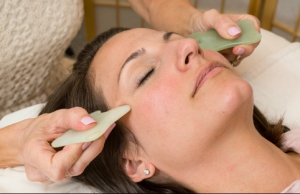 Facial Cupping, and massage with a special jade tool called gua sha can also be added to smooth out lines, increase blood flow and encourage the revitalization of the skin. This article discusses how facial acupuncture can promote the production of collagen. For centuries the Chinese have known that needling the skin has a positive effect on its thickness, elasticity and suppleness. As far back as the Sung Dynasty (1279AD) Acupuncture facial rejuvenation techniques were used by the empress and emperor to maintain a healthy youthful and yet natural look to their skin. Western medicine now has an explanation of one of the mechanisms by which needling the face reduces fine lines and saggy skin by increasing collagen production. 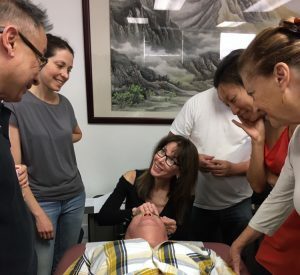 There are many reasons why facial acupuncture is effective in revitalizing our appearance, one of the most interesting is the induction of collagen via needling the skin. This process is known in western medicine as collagen induction therapy. In simple terms, collagen induction therapy promotes the natural production of collagen and elastin. Collagen and elastin are protein fibers found within the skin cells that are responsible for the skins structure and elasticity. 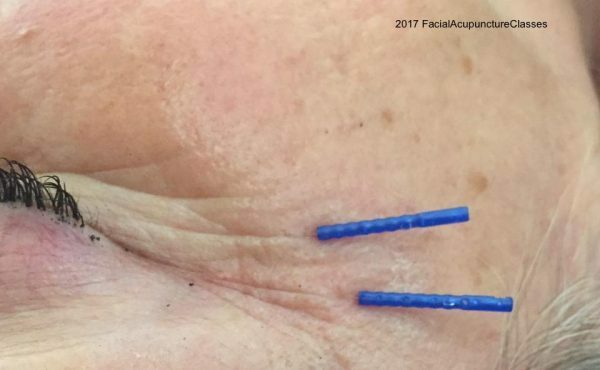 Tiny acupuncture needles such as intradermal needles penetrate the skin just enough to stimulate collagen and elastin production, without permanent injury to the skin. Exactly how collagen induction therapy works has been studied extensively by western medicine. In order for collagen to be stimulated the needles must be long enough to affect the dermis, the layer below the epidermis. Hair thin needles are threaded horizontally into a wrinkle and left in place for 15-30 minutes and then removed. 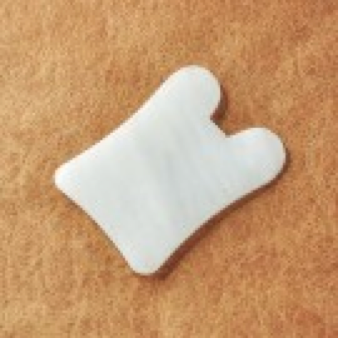 Although there is no visible sign of a wound, there is micro trauma in the dermal layer. During the healing process, skin cells within a 1-2mm radius around the area treated release growth signals to undifferentiated cells known as skin stem cells. These signals also stimulate rapid growth of new fibroblasts and other wound repairing cells. Many cell types including fibroblasts rush to close the wound by migrating to the point of intrusion. 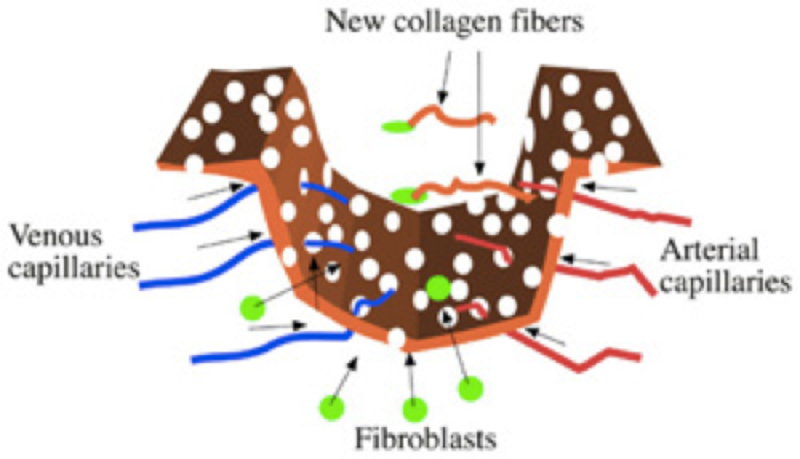 These new fibroblasts then transform into collagen fibers which integrate with existing collagen in the upper dermis. The new collagen fibers thicken the skin, fill in the wrinkles and encourage growth of healthy new cells. Michelle Gellis has an acupuncture practice in Fulton, Maryland. She is on faculty at the Maryland University of Integrative Health. 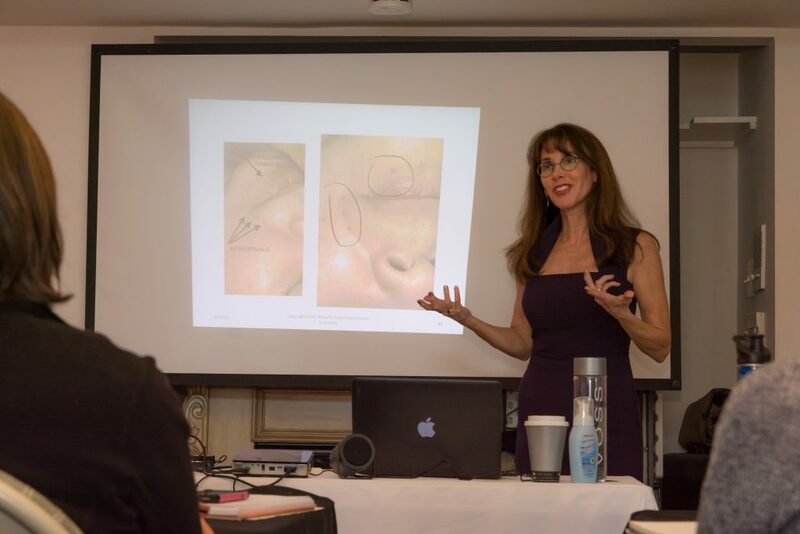 Michelle Gellis Teaches Facial Acupuncture CEU Certification Classes Nationally including techniques for facial rejuvenation. Please visit her website for class dates and locations. According to Chinese Medicine, one of the most common causes of disease is repressed emotions. Emotional health is an integral part of Chinese Medicine. The seven emotions associated with disease are: anger, joy, worry, pensiveness, grief, fear and fright. As stated in an ancient text, the Su Wen, Chapter 8, our internal organs are portrayed in terms of their mental, emotional and spiritual function1. When emotions are prolonged, intense or repressed, they can inhibit the normal flow of Qi2 to our organs. Since our primary method of expressing our emotions is our face, it is essential to ensure the free flow of emotions to and from the face. 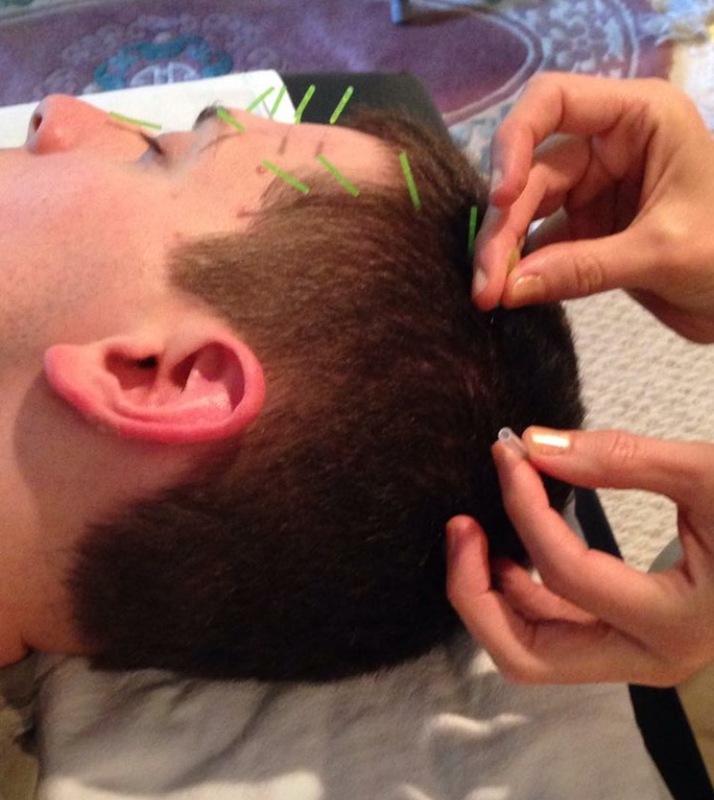 Hence, facial acupuncture can play an important role in promoting not only skin health, but physical health as well. There is a feedback system between the face and our organs which allows for communication between them. This free flow of resources is intrinsic to the appearance of our face and to the underlying health of the associated organ systems. Our ability to connect with and express these emotions requires proper functioning of the organs and a smooth flow of Qi through the channels. Numerous studies have demonstrated the feedback system between our facial expressions and emotions. Studies performed by Paul Ekman have shown that if a person merely arranges his face into a certain expression, he will feel the corresponding emotion. In other words, emotions work from the outside in as well as the inside out. i.e. happiness may be as simple as putting on a smile.3 Conversely, an individual who cannot or does not express emotions through their facial expressions will not feel the emotion as fully. In an experiment involving the use of Botox to paralyze facial muscles involved in frowning, Havas, Glenberg, Gutowski, Lucarelli, and Davidson5 discovered lessened depressive symptoms in patients after paralysis of their frowning muscles. A study published in the Annals of Clinical and Translation Neurology, suggest that facial feedback modulates the neural processing of emotional content.7 Habitual patterns of expression get lodged in the face, and repressed or excessive emotions can affect our organs. It is a two-way system with feedback from the face to our organs and our organs to our face. There are over 60 acupuncture points on the face. Any impediment to the channels translates to diminished function. If the energy in our face is blocked and we do not or cannot express an emotion with our face, we will not feel it as fully. For example, the actual expression of joy (smiling) can nourish the heart. According to the Su Wen “in order to make all acupuncture thorough and effective one must first cure the spirit”1. The radiance of the skin and eyes is intrinsically connected to the spirit. 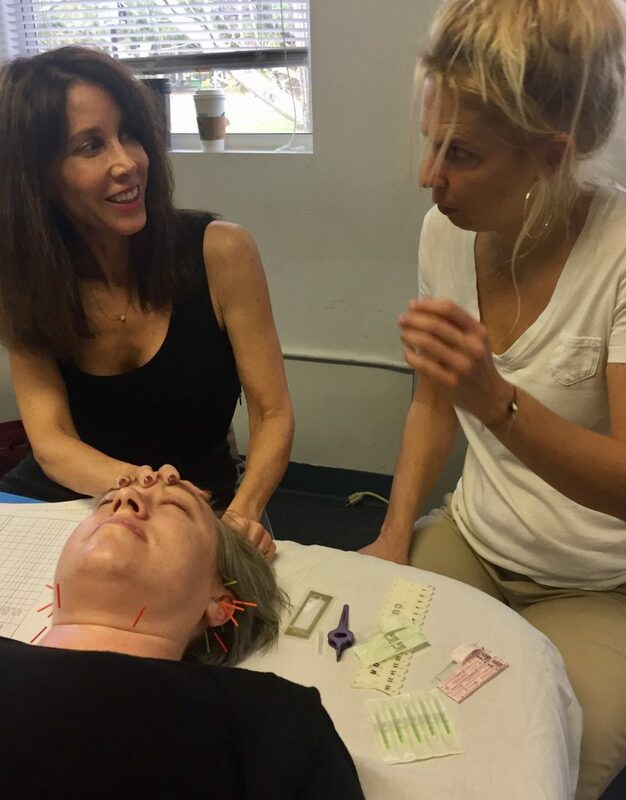 Facial acupuncture involves the practitioner being present in the room with the patient for extended periods of time (it can take 30 minutes to insert all the needles), it provides a unique opportunity to learn more about a patient’s spiritual and emotional well-being. This can help to facilitate the healthy expression of emotion. Below is an example of how this all works. If the spleens ability to control transportation of fluids is diminished, the face will look puffy and there can be bags under the eyes. 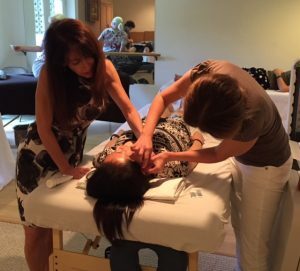 At the core of Facial Acupuncture is the foundation of treating the whole person. Doing so allows the health of the body to reflect on the skin and allowing for full expression of balanced emotional health. It is impossible to separate our emotions, our expression of them, and our health. 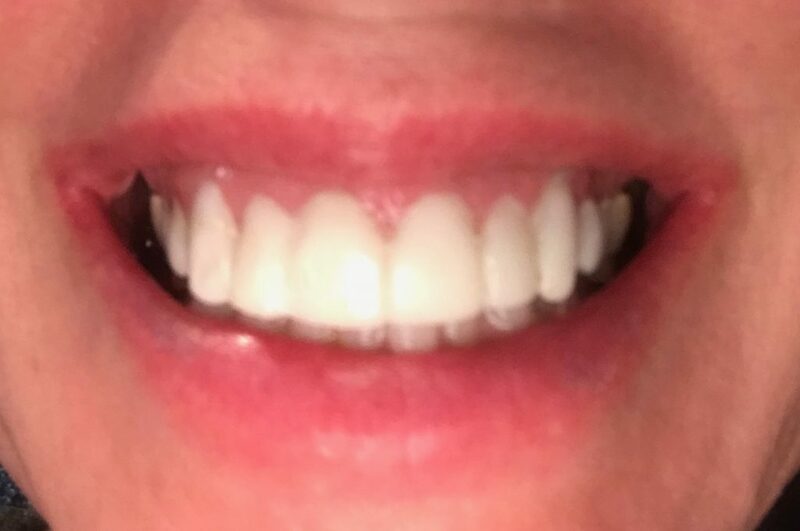 Have you ever wondered why women are more prone than men to form wrinkles around the mouth? There are several reasons for this, and Facial Acupuncture can provide a safe, effective solution. Women (especially postmenopausal women) have fewer oil-producing sebaceous glands around the upper lip – meaning less oil to keep the skin soft and supple. Women have fewer blood vessels in the upper lip area resulting in less blood flow to the region. The muscles around the mouth are closer to the skin in women than they are in men; this can mean the skin is pulled closer, leading to wrinkles. Hormones also play a role in women’s aging process. As a woman ages and looses estrogen, her skin thins out, creating a crepey appearance. Postmenopausal women experience a decrease in the fat (sebum) secreted by the few sweat glands they do have. Less fat means more sag. Also, although the number of hair follicles is about the same in both genders, men have more sweat glands per hair follicle, contributing to more relaxed skin and therefore fewer wrinkles. Changes in the bones also contribute to more severe aging. As women age their jaw bone actually gets reabsorbed slowly so the bone shrinks down—the skin is going to get saggy because there’s no scaffolding holding it up! Facial Acupuncture can regulate the body’s hormones and strengthen the organs, such as the kidneys, spleen and liver. Intradermal needles can be used to increase collagen. Facial cupping and Gua Sha can increase blood flow to the area and stimulate the sebaceous (sweat glands) to secrete more fluid and sebum. Microneedling with an AAC approved device such as an Aculift Derma Roller can stimulate collagen as well. Acupuncture has been used for centuries to promote healthy skin. Get certified by an AAC certified CE provider. go to facialacupunctureclasses.com for videos and class info. *study is published in the November-December issue of the Aesthetic Surgery Journal. By Michelle Gellis, AP LAc MAc DiplAc. 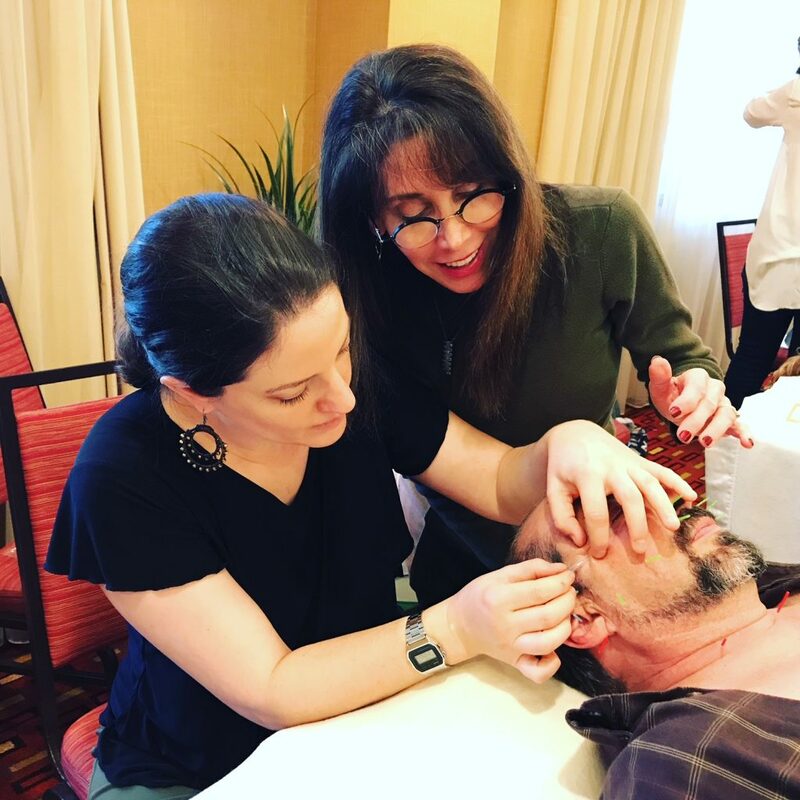 Facial acupuncture classes … lots of folks are offering them these days. 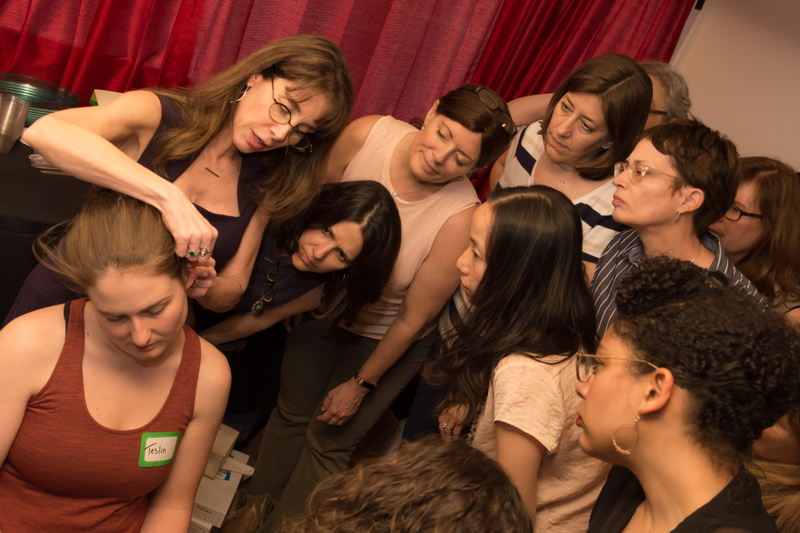 Is the instructor certified by the American Acupuncture Council? If AAC is your insurance company, you must be trained by an AAC certified instructor for coverage. You can contact AAC for the most current list. Even if AAC is not your insurance provider, you may switch in the future, and being trained by an AAC provider lends some credibility to your skills. 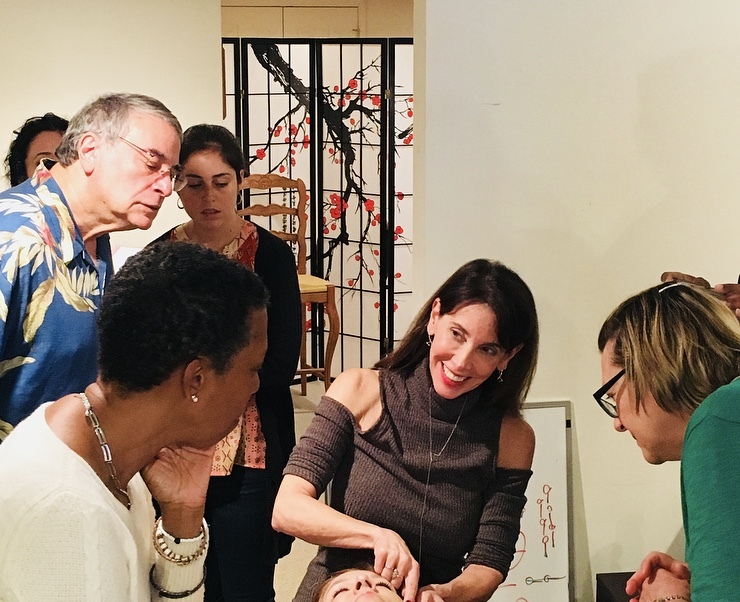 What is the average facial acupuncture class size? If the teacher to student ratio is too large, you will not get the supervision necessary to monitor new skills being taught. What is their teaching experience, where, how long? Are they published? Is their degree in acupuncture or another field? Is it a hands-on class? You should be able to practice what you learn, with special emphasis on new techniques and skills. Will supplies be provided or charged for separately? Is the system something that is easily learned? Techniques that are complicated or overly time consuming are rarely implemented after you leave the class. Speak to folks who have studied with the instructor. Will you need to take a follow up or advanced class before you can practice the techniques? How much time will there be to practice? There should be ample time allotted to practice new skills. What CEUs are attached to the class? How many, and for which states. If you cannot attend, can you use the tuition towards another class in the future or is the money lost? 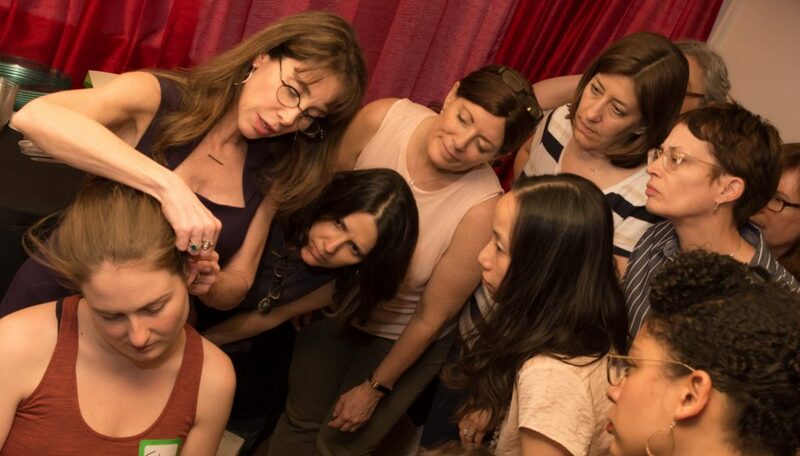 Michelle Gellis, M.Ac, DiplAc., L.Ac has been teaching Facial Acupuncture classes since 2005. She is a Faculty Member and Clinic Supervisor at the Maryland University of Integrative Health. She has been published in the Journal of Chinese Medicine, Acupuncture Today and The Acupuncture Desk Reference. To learn more about her classes, please visit our registration page.